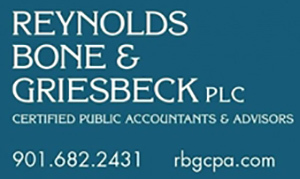 In addition to offering tax, audit, accounting and consulting services, Alexander Thompson Arnold CPAs provides the specialized services banks require. These include internal auditing, external auditing, co-sourcing, loan review, strategic planning, IT audit, BSA, interest-rate risk, employee benefit plan administration, business valuation services, call report preparation, and much more. Plus, you get the personal attention you deserve because our clients are our top priority. 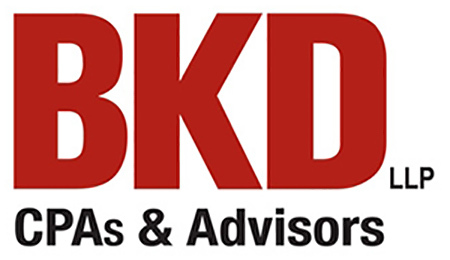 *MBA Program Partner* BKD Financial Services Group, dedicated to delivering the BKD Experience of unmatched client service, offers auditing, accounting, tax, consulting, technology and outsourcing solutions to more than 1,200 financial institutions nationwide. BKD Mississippi personnel have been serving Mississippi banks for more than 30 years. CRI’s financial institution industry insight ensures the delivery of high-quality, cost effective solutions. Our more than 100 clients range in size from de novo status to publicly traded community banks. Core services include financial statement audits, internal audits, regulatory compliance, IT audits, and tax compliance and consulting. Crowe LLP is one of the largest public accounting and consulting firms in the U.S. Using its deep industry experience, Crowe provides audit services to public and private entities, and helps clients implement internal controls, streamline operations, manage risk, and improve performance with tax, advisory, risk and performance services. With more than 50 years of experience, Crowe serves more than 1,800 financial services organizations of all sizes. Crowe knows banking. As one of Mississippi’s largest full-service accounting firms, GranthamPoole has delivered customized solutions to its clients for more than 35 years. Core services include tax, auditing, financial and estate planning, fraud and forensics, litigation support, business valuations, and business consulting. GranthamPoole offices include our Ridgeland headquarters and an office in Oxford. As the largest accounting firm headquartered in Mississippi, HORNE LLP has fostered a highly experienced and forward-thinking practice of professionals dedicated to the financial institution industry. HORNE’s Financial Institution Practice provides services across a wide range of areas, including audit services; SEC compliance; tax services; enterprise risk management (internal audit); mergers and acquisitions; information technology; and fraud, forensic and litigation support. For 100 years, Mauldin & Jenkins’ goals has been to build relationships through commitment, quality and dedication to its clients. M&J’s extensive financial institution experience includes audit, employee benefit plan audit, internal audit, risk management, regulatory compliance, loan review, IT audit, tax service and consulting advice, and is provided to publicly and privately held financial institutions throughout the Southeast. Nail McKinney Professional Association helps financial institutions navigate complex reporting, governance and regulatory issues to achieve their business objectives. The firm provides external audit services, outsourced internal audit, BSA and regulatory compliance examinations, independent loan review, IRR model validation, tax planning and preparation, and employee benefit plan services to financial institutions. Porter Keadle Moore (PKM) has served the needs of financial institutions since 1977 and today works with leading community banks across the country. From external and internal audits, to IT and regulatory compliance, we have the right team of experts to meet your bank’s needs. RBG has led in exceptional service and product delivery to community financial institutions in the Mid-South for more than 60 years. Its full-service offerings include audit services; tax services; outsourced internal audit; regulatory compliance reviews; interest rate risk reviews; mergers and acquisitions; employee benefit plans audits; and IT and NVA services. Since 1944, Saltmarsh has served a wide range of financial institutions throughout the Southeast — offering services beyond traditional audit and tax to include compliance/regulatory, internal audit, loan and information system reviews. Saltmarsh currently serves more than 120 financial institutions, ranging from million to more than billion in assets. *MBA Program Partner* Silas Simmons, LLP, CPAs of Natchez, Mississippi, established in 1932, provide a range of services: accounting, auditing, tax preparation and planning, business advisory services, Holding Company compliance, ”S” Corporation election and planning, internal audit, ACH, BSA, loan review engagements, interest rate risk liquidity, employee benefit plan audits, and mergers and acquisitions. T. E. Lott & Company, PA offers audits of financial statements, tax planning, tax return preparation, IT engagements, internal audit, employee benefit programs, mergers and acquisitions, and regulatory reporting. Member of AICPA, Center for Audit Quality, Employee Benefit Plan Audit Quality Center, Private Companies Practice Section, registered with the PCAOB. 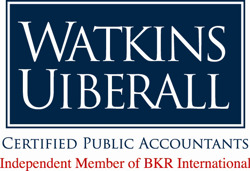 As one of the largest locally-owned CPA firms in the Mid-South, Watkins Uiberall PLLC has offices in Memphis, Tennessee and Tupelo, Miss., providing reputable public accounting and business consulting services. Its services for financial institutions include external audits and outsourced internal audit, as well as other specialty services, including tax planning and preparation, assistance with regulatory issues, employee benefit plans, risk management, interest rate risk model validation, and other consulting services. Williams, Weiss Hester & Company, PLLC offers tax, auditing, accounting and consulting. A member of AICPA private companies practice section. Wilson & Biggs PLLC is a full-service accounting firm providing auditing, accounting and tax services to nonprofit organizations, small businesses and individuals.